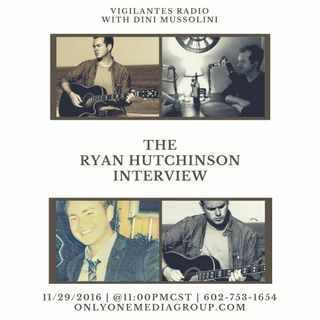 Ryan Hutchinson stops by to chat with Dini Mussolini about his life and his music. A touring musician turned obsessed entrepreneur, Ryan Hutchinson is a Philadelphia native that seeks to answer questions surrounding human motivation. As a respected startup consultant and host of the BeingHuman podcast, he believes that uniquely talented people are what spur the universal economy. With social media as the driver, Ryan consults with pre & post funded startups looking to build a ... Maggiori informazioni creative HR based culture. On the podcast, he interviews people with a superior level of self-awareness - individuals led by five core motivations: Mastery, Prosperity, Connection, Freedom, and Altruism.